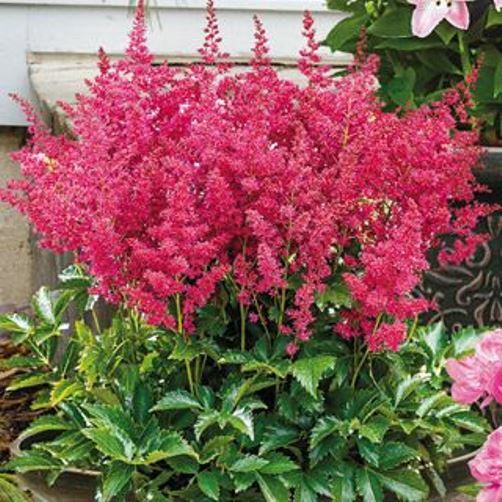 Astilbe 'Younique Red'. PPAF. Compact, rounded mounds of well behaved foliage are topped off by red-pink flowers. This false spirea is another in a series of new hybrids that tolerate heat and dryness better than most other astilbe.